Our experts at ProSource® of Tucson know from experience that premium wholesale flooring has the potential to transform any room into a luxury escape. That’s why we keep our shelves full of the latest carpet, hardwood, laminate, vinyl, and tile flooring designs from trusted brands in the trade industry. 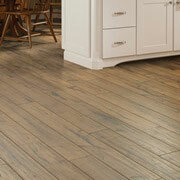 Visit your local ProSource showroom today to explore our vast selection of fine flooring materials. 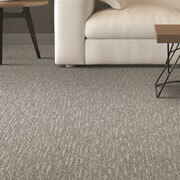 Carpet flooring is found in nearly every home today and is a reliable choice for homeowners whose priority is comfort. At ProSource, no carpet is the same and we are constantly upgrading our selection to the best comfort levels, styles, materials, and colors on the market. It’s hard not to like hardwood flooring, and many trade professionals find themselves browsing our showroom for the best kind of hardwood material for their clients’ new floors. Whether your client wants a brand-new oak, maple, or walnut hardwood floor, bring them in to our Tucson showroom today and we’ll help them choose the right flooring material for their home remodel. Although it closely resembles hardwood flooring, our laminate floors provide trade pros and their clients with everything hardwood cannot. Strong, durable, easy to install, and immune to dents and chips, wholesale laminate flooring offers a practical alternative to hardwood floors while also saving you money. Tile is perhaps one of the most timeless flooring materials, as it has never gone out of style and is one of the most popular kinds of flooring on the market today. 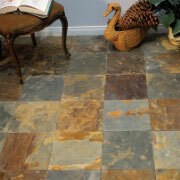 Tile flooring is especially popular here in the desert due to its naturally cool feeling and easy-to-clean surface. At ProSource of Tucson, we can help you and your clients navigate through our vast tile selection and choose the best one for your newly-upgraded desert home. 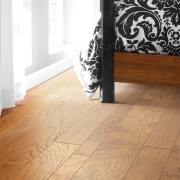 Much like laminate flooring, our luxury vinyl tile (LVT) and luxury vinyl planks (LVP) are a practical alternative to hardwood flooring for trade pros who are working with a tight budget. 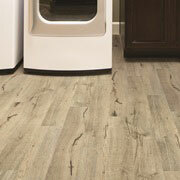 Versatile, long-lasting, and affordable, our vinyl flooring has made its way into many Tucson homes.